Whether you’re putting up a new plumbing system or your current one is in dire need of professional intervention, we are the one to call in Coconut Creek and the greater Florida area including Weston, Pembroke Pines, Coral Springs, Pembroke and the greater Fort Lauderdale areas. 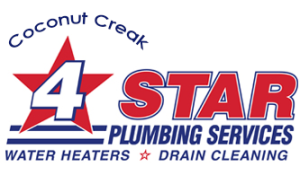 4Star Plumbing Services offers a wide range of plumbing, heating, and piping services and we can install, repair or upgrade your systems. Our uniformed technicians are not only the best at what they do; they are also some of the most trustworthy you’d find in Florida. Our employees are not only tested for their technical skills but also for their trustworthiness so you can rest assured that you are not letting crooks into your family’s home. The quality of our working staff is, after all, among the biggest reasons why we have earned the elusive A+ rating from the Better Business Bureau (BBB). These services are available for both residential and commercial spaces as we at 4Star Plumbing Services are adept and even certified to do both. Best of all, we do not close and are available to help you out with emergency inspections and repairs especially of pipe leaks and drain stoppages 24 hours a day, 7 days a week, and 365 days a year. After all, we believe that great service never stops! 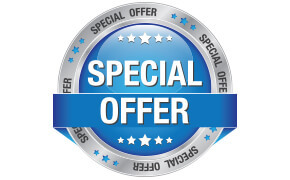 Fill out our online form or call us at 954-776-9888 today and find out more about what we can do for you!